The proposed Agriculture Bill does not make reference to agroecological farming or local food. The Bill enforces UK policy post-Brexit. It is currently being considered and then voted on over the next few months. The Bill replaces existing EU direct payments with environmental land management payments. The EU system subsidises farmers based on how much area they own regardless of the system they use. The replacement will financially reward farmers for improving the environment. This groundbreaking bill is a move in the right direction, however we are concerned that it needs to go further and promote whole farm systems; affordable local food at the same time as improving the environment. It is very important that the Bill makes a direct reference to whole farm management systems so that successive governments prioritise this approach as they implement our agricultural policy. We need to transform farming systems beyond wildlife measures on the edges of fields. Without incentives to farm, many landowners will simply stop producing food and turn their farms over to nature management. The consequences of which, will push our food security outside of our national border. Almost everyone agrees that the purpose of an Agriculture Bill is to support the accessibility of healthy local food for everyone in the UK. Many MP's have voiced that we need a Bill, which strengthens sustainable food production, regenerates the environment, promotes healthy outcomes and supports local economies. The Agriculture Bill is on pause until the direction of Brexit becomes clear. Over the past months, nearly four thousand people have written to their MP expressing the need to amend the Agriculture Bill in favour of enlightened agricultural practice that is sociall, environmentally and economically sound. In the meantime, the Landworkers’ Alliance are actively engaged with Defra and are in the processes of proposing Agroecology schemes. Jyoti Fernandes of the LWA has been invited to be in an advisory group for testing new Environmental Land Management Schemes. You can our proposal for Whole Farm Agroecological Scheme here. Regarding the Bill, we hope to really stir up support when the time comes so that the following amendments will be passed. Labour intends to put their whip on these and encourage all Labour MP’s to vote for them. If you are able to personally contact your MP and ask them to support this amendment, please send them an email or arrange a meeting with them. I am happy to meet with them in person if they would like to talk with the LWA policy team in Westminster. If your MP is already sponsoring the amendments then please thank them for their support. There are also two exciting amendments that were earlier put forward by LWA, Sustain, Soil Association and Organic Farmers and Growers on Agroecology- Amendments 1&2 - which were tabled and defended by Kerry McCarthy (lab) and supported by Zac Goldsmith (con), Caroline Lucas (grn), Darren Jones (lab) and Sarah Wollaston (con). (h) establishing and maintaining whole farm agroecological systems. Please write and/or arrange a meeting with your MP to encourage them to support these amendments and vote for them! Please stay in touch with me to tell me what they say. Ask any organisations that you are a member of, or have contact with, if they would be willing to put their name to any of these amendments as supporters. If you live in Wales and are able to help me contact Welsh MP’s so we can introduce amendments to the Welsh part of the Bill- please get in touch. Likewise, we need to create a Scottish LWA response to the Bill, even though there is not a section dealing specifically with Scotland. Exciting times! I have had feedback from everyone that I am working with and they are very grateful for the LWA's involvement in lobbying the Agriculture Bill. Particularly with the vision of food sovereignty that we present, a vision that supports the middle ground, a vision which is fundamentally ecological while simultaneously supporting farmers and a more socially just food system. We're hoping for some big changes. Policy Briefing by Landworkers Alliance, Sustain, Soil Association, and Campaign for Protection of Rural England (Amendments 1 & 2). This is a link to the full list of amendments to the bill tabled to date. The Ecological Land Cooperative released a document showcasing the profitablility of small farms. Agroecology is a term that is recognised on the highest international levels by the Committee on Food Security as being the way to feed the world. Studies by the UN have proven that industrial agriculture is depleting our land and creating enormous public health problems. The Food and Agriculture Organisation is advising that all countries take steps to transition to Agroecology. Examples of whole farm agroecological systems are mixed farming, community supported agriculture, organic farming, pasture-fed livestock and other whole farm sustainable farming techniques that work together with measures to encourage wildlife and restore nature. You can contact the Land Workers Alliance for the growing evidence of the benefits of agroecology. Agroecological methods can produce comparable or superior yields at lower cost with greater profitability, and sustain more diverse and nutritious diets than industrial monoculture-based agriculture. Ecologically, these systems are low-impact; they are often regenerative of biodiversity, soils and the environment. The Landworkers’ Alliance is a grassroots union of farmers, growers and land-based workers with a mission to improve the livelihoods of our members and create a better food system for everyone. We work for a future where farmers are able to work with dignity and earn a decent living, and people can access healthy, affordable food from local producers. We are a democratic member-led union, run by producers for producers. All our policies and representation comes from farmers, growers and land-based workers who have direct experiences of the issues we campaign on. We are members of La Via Campesina, the global movement of small-scale producers and peasant farmers. What is happening in the UK affects us all. Right now, exiting the EU means we are to create our own UK Agricultural Policy. Fundamentally, what happens is going to affect agriculture for at least the next 50-100 years. It is a real keystone moment, a decision making turning point. Brexit has many daunting challenges, but for farming, it has opened a golden opportunity if the trade deals are conducive. Right now, MPs are debating on what’s going to happen to the support system for agriculture. They are tabling the Agriculture Bill. The LWA has been working none stop, talking to MPs, policymakers, and high-level civil servants, about what should be done. The direct payment system that pays land owners for owning land is to end. In its place comes subsidies for environmental land management payments. Although the latter is something that we support (with positive impacts such as soil health, climate change mitigation, and increase of biodiversity etc. ), something important is missing from the agriculture bill; farming. The UK’s small-scale, ecological and family farms are at the heart of our rural culture and communities; they create employment, protect cherished landscapes and provide a huge amount of the food we eat. The task of creating a post-Brexit ‘British Agricultural Policy’ that support producers, protects the environment and prioritises access to healthy, nutritious food for all, is a complex but essential one. It represents a great opportunity if the Government listens to the needs of all stakeholders and put in place a truly long-term plan for environmental, social and economic resilience. Read more about our recomendations for post-Brexit policy. Growing Communities (Est 1996) is a community-led organisation, who deliver 1000 boxes of organic vegetables to households in Hackney. Produce is sourced from a mixture of small and medium growers located in urban, peri-urban and rural hinterland areas. 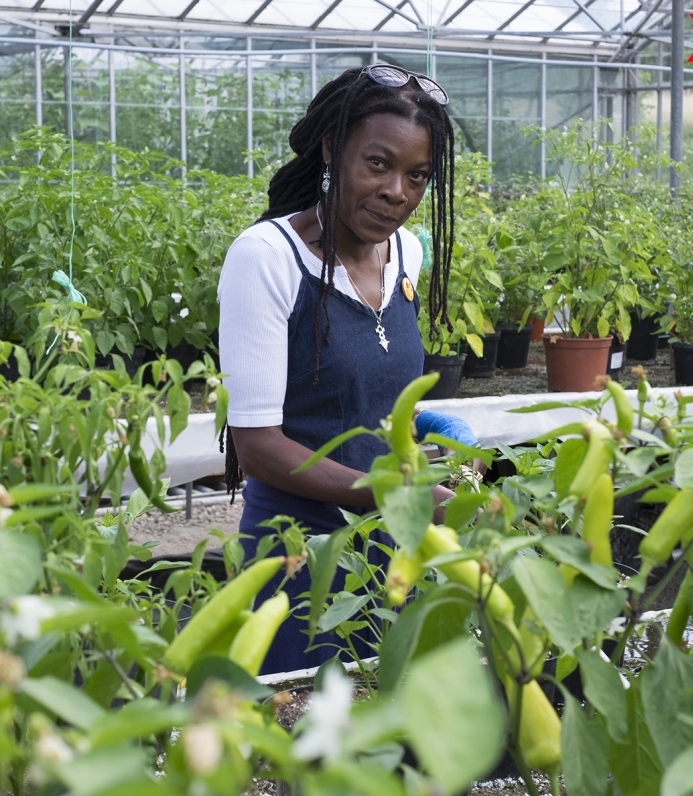 They also operate a farmers’ market and Dagenham Farm, which supplies 5 tonnes of vegetables per year from 0.6acres and provides training to local people in growing, food preparation and selling. 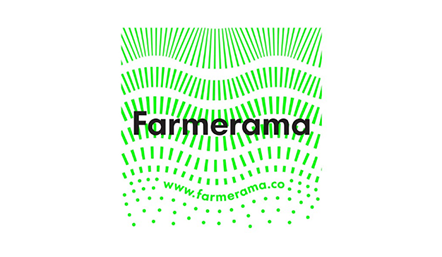 Tamarisk Farm is an organic family farm in Dorset which combines local food production with conservation and public engagement, on 580 acres of poor-quality land. Cattle and sheep are grazed extensively on wildflower rich pasture, that also supports a diverse range of birds and insects. An arable rotation, comprising wheat, rye, barley, oats and drying peas provides flour to sell in the farm shop, alongside meat, wool and eggs. 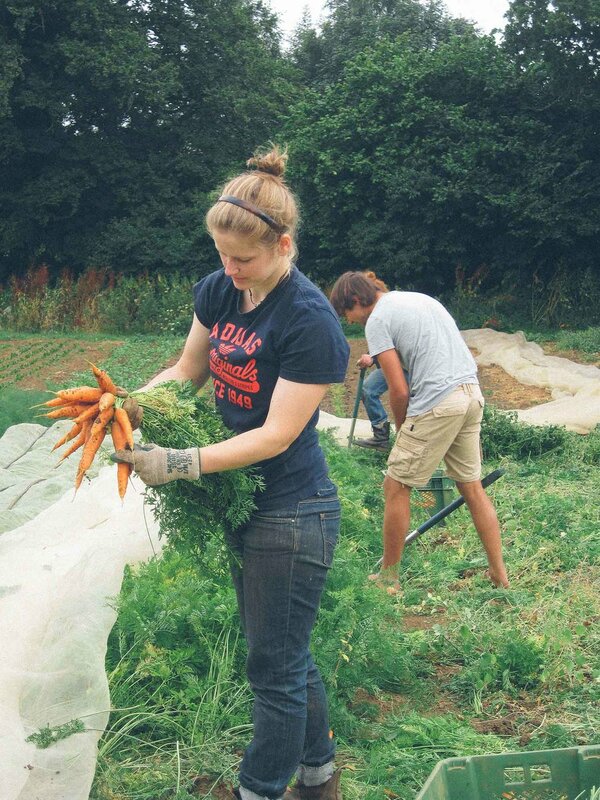 Chagfood, Devon, is a Community Supported Agriculture Scheme started in 2009 using a £38,600 Local Food Fund lottery grant, but since 2012 member’s subscriptions have been able to fully fund running costs and the wages of two part-time growers. Now 80 households are supplied with a weekly share of the vegetable harvest, grown on five acres of rented land. Stroud Community Agriculture (Est. 2001), supplies its 270 Gloucestershire members with a weekly vegetable box, and also raises pigs, cattle and sheep to provide members with meat. The business is an Industrial and Provident Society Community Co-operative, owned and controlled by its subscribers, who elect a core group of eight members to make management decisions and employ the grower and farmer. North Aston Dairy (Est 2006) supplying 300 households in Oxford and surrounding villages with fresh, pasteurised but un-homogenised milk, cream, ice-cream, yoghurt and beef from their micro-herd of 15 Ayreshire cows, kept on 37 acres of land. By direct marketing through their own milk-round and farmer’s market stall, they are able to support two full-time and one part-time income and last year had a turnover of £110,000. GOOD FOOD MARCH : The march highlights how we need to support a new generation of farmers producing agroecoological food. The Government needs to make a commitment to a New Entrants Scheme. Jyoti Fernandes on the Importance of small family farms: On the opening night of the photography exhibition, We Feed the World, Jyoti Fernandes of the Land Worker’s Alliance reminds us of the role we can all play in standing up and speaking out for a fairer food and farming system. The trailer for the LWA’s film, In Our Hands. It explores the quiet revolution that is transforming the way our food is produced and distributed. Our current industrial food system is a vast and wheezing giant that is only upheld by a stilted subsidy regime that pays out to landowners and leaves many farmers by the wayside.